An exciting and inspiring event. 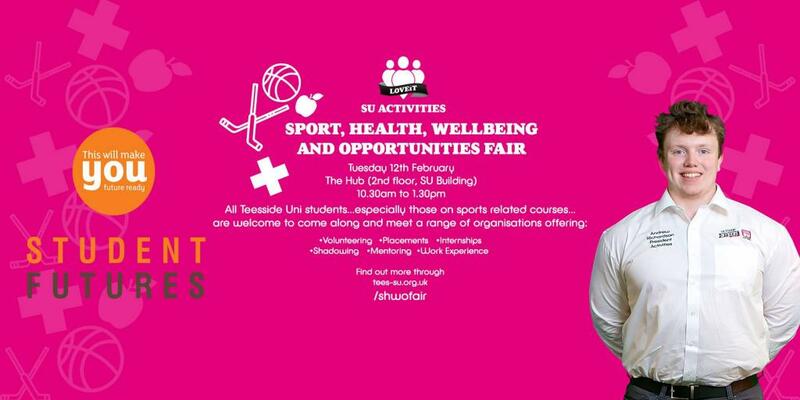 The Sports Health & Well-being Fair is an event not to be missed for all students on a sports related course or for anyone just wishing to pop along and find out more. A fantastic opportunity to widen your experience and create links for personal development, various organisations will be attending and offering advice ranging from work experience to placement roles. Any further information required please contact Andrew.Richardson@tees.ac.uk or by locating Andrew on his official Facebook page. ← Previous WHAT DOES THE FUTURE HOLD FOR THE BRITISH HIGH STREET?